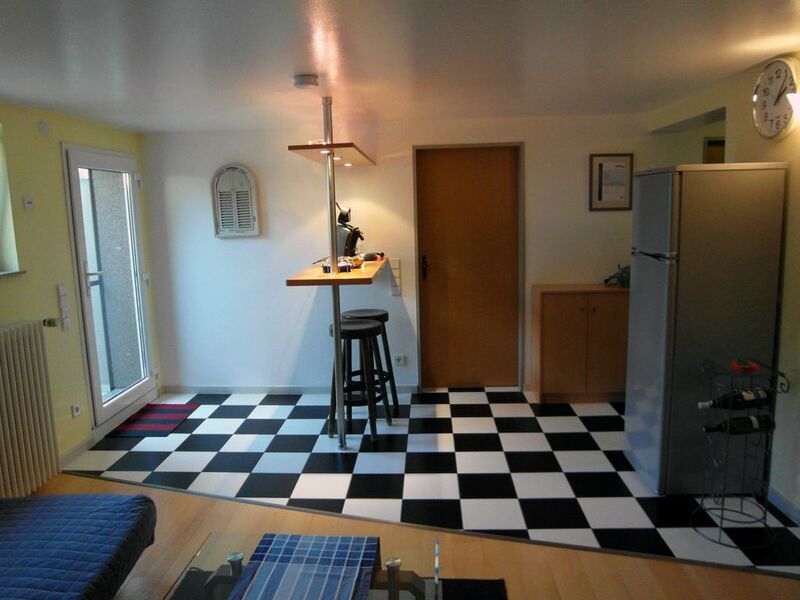 The apartment (46 m²) located in the basement of a two-family house. It was completely renovated in 2010 and modern and practical. Living room with sofa (140 x 200 cm extendable if required), satellite TV, dining table (2 folds), equipped kitchenette with coffee-pod machine and toaster, bedroom with double bed, bathroom with shower. From the Non smoking apartment you have a direct access to the terrace, where we will be happy to provide you with a summer barbecue. Welcome! Our apartments are located in a two-family house in the village Rheinhausen, in beautiful Badnerland. The famous theme park "Europa Park" in Rust is just 3 km away. Even for trips to the nature reserve "Taubergiessen", the Black Forest, the city of Freiburg and Alsace, the apartments are an ideal starting point. Whether a couple in the modern basement apartment or a whole family in the spacious upper floor, where you can enjoy the tranquility after an exciting day ... The house is located in a quiet location, at a dead end. Each apartment is available to our guests a car park. We are looking forward to your visit! Toll ausgestattet, absolut sauber und mit allem, was man sich wünscht. Das Wichtigste: Vermieter, wie man sie sich vorstellt- freundlich, herzlich und Mega hilfsbereit. Absolut empfehlenswert!